Putting Green, Pool, Laundry Facility and Ocean. 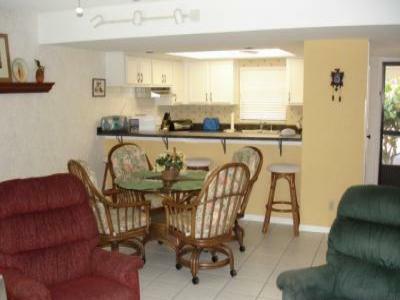 Walking distance to the Cocoa Beach Pier, Restaurants and Shopping. Boats, Trailers, Campers, Motorcycles or Commercial Trucks. Sorry, but we do not rent to Spring Breakers or Sports Team Groups. Renters must be Families or Business Workers. No underage renters. The complex has one of the larger pools in the area. It is 30" x 60"
and is Gas Heated during the Winter season. be seen and heard from our Property. from the world famous RonJons surf shop. Contact thru Rental Listing. Will contact you.